Cape Town - AYO Technology Solutions [JSE:AYO] said in a shareholder statement on Monday afternoon that it has had no relationship with Sagarmatha Technologies. This came after its stocks fell by more than a third, to end the day at R26.00 a share. 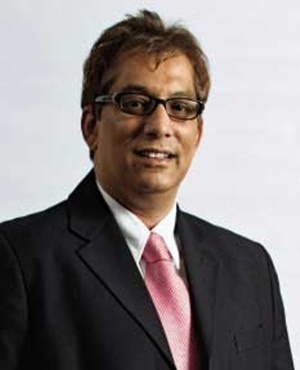 AYO said it "noted with dismay and serious concern" media articles about its relationship with Sagarmatha Technologies and businessman Iqbal Survé. Sagarmatha failed to list on the JSE earlier in the month. AYO took aim at an article it described as "defamatory, false and inaccurate information" published by investigative journalism outfit amaBhungane on April 21.
amaBhungane had raised concerns ahead of the planned listing of Sagarmatha, arguing that Government Employees Pension Fund (GEPF) money would be used to "artificially boost" its value. It argued that GEPF money had also been used in the AYO listing, saying that the JSE listing "was propped up with R4.3-billion of government pension fund cash". amaBhungane argued that both AYO and Sagarmatha were effectively controlled by Sekunjalo Investment Holdings, "a vehicle for the Survé family trust". "Pointing out a common indirect shareholder is only useful to paint a particular narrative, which is mischievous in the extreme," said AYO in its statement. It said that neither Survé not Sekunjalo were shareholders in AYO, and that Survé did not have a management position at the group. "AYO remains committed to transforming an industry that is in dire need of transformation and is determined to make a real difference in the sector." Meanwhile trade union the PSA was set to meet on Monday with the Public Investment Corporation to demand details of several controversial investments made in recent years, among them an investment in AYO. The PIC manages the assets of and invests on behalf of the GEPF.